Get a Free Turkey and a Healthier Spine! 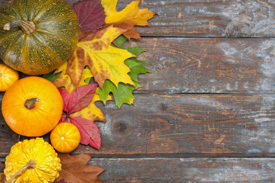 Happy Thanksgiving from Synergy Wellness! A delicious turkey and a healthier spine are two things to be thankful for this holiday! With our “Turkey Day Thank You,” we’re making it easier for you and your non-patient friends and relatives to enjoy both! Simply have them schedule their initial exam on either Monday, November 23 or Tuesday, November 24. They will receive a full Wellness Evaluation, including many of our advanced technologies, for only $27 and get a FREE turkey as well. We are also giving away a Thanksgiving turkey to every current patient treated on November 23 or November 24. Appointments are necessary as we will be booked solid these days. Contact us at (520) 818-8857 to schedule your appointment and reserve your turkey!